Just took seven years and a lot of media pressure to act? 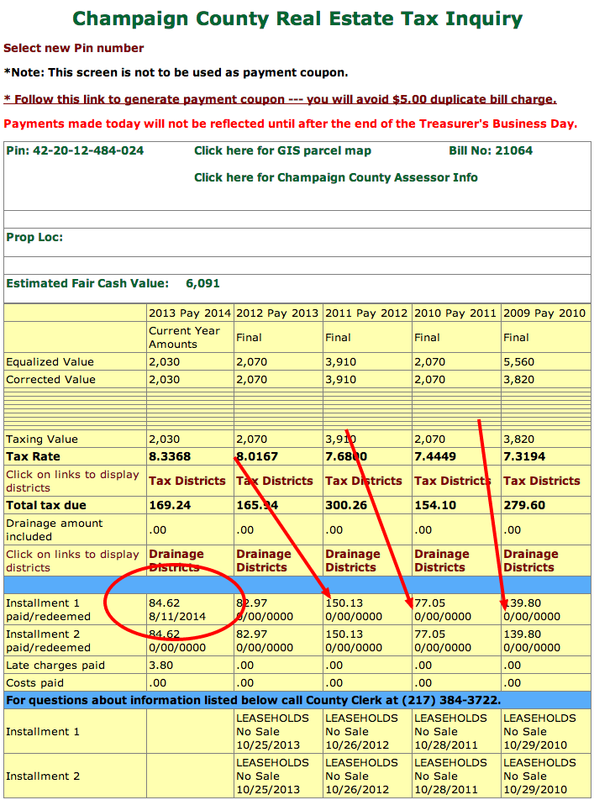 We can't confirm that all of his taxes have been paid, but from the looks of this Champaign County site, Tax Hike Mike Frerichs - the Democrat Candidate for Illinois State Treasurer might have caved and paid his taxes like every voter has to do in Illinois. See the circled portion that is marked paid? The rest still have no dates by them. We were sent this screenshot by a tipster and can't confirm when it was taken. Did his campaign go on the cheap and *just* pay $84.62 instead of the full amount? How nice of Mike to 'lower himself' from his Elite platform and pay property taxes like normal folks. Must have been hard. But...I guess when you wear a suit to a Habitat for Humanity build, you're not normal, right?